The Community Outreach Intern is responsible for preparation and facilitation of organizational outreach at community events. 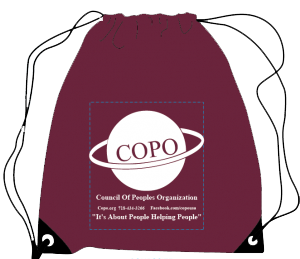 The Community Outreach Associate will participate in COPO’s KYR initiative and inform community members about COPO’s programs and services. She or he will coordinate with the IT Director to post photos and video from events to social media.